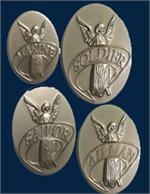 Finally, a lapel pin for military moms! This pin measures 1" by 1" and comes prettily enclosed in a gold organza pouch secured with matching ribbon. 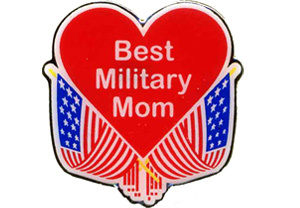 Whether you're a mom whose husband is in the military or a mom whose child is serving in the armed forces — you deserve this pin! It makes a great gift too!